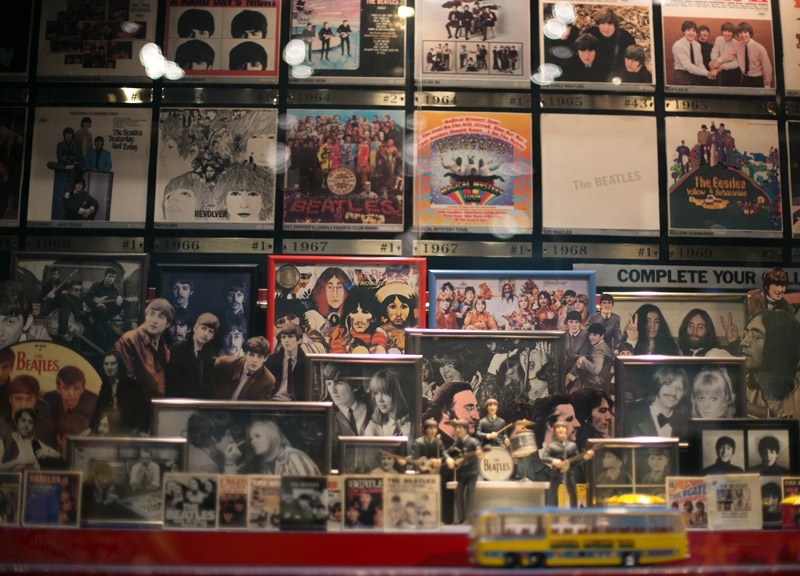 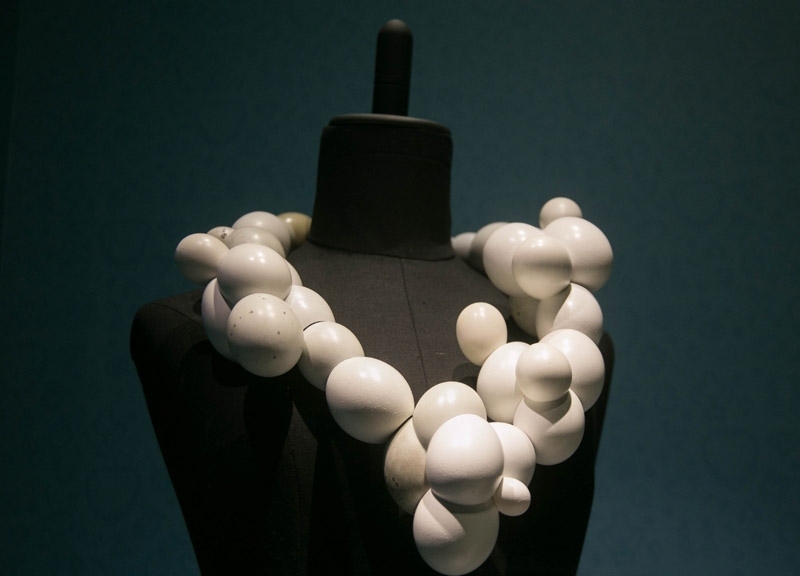 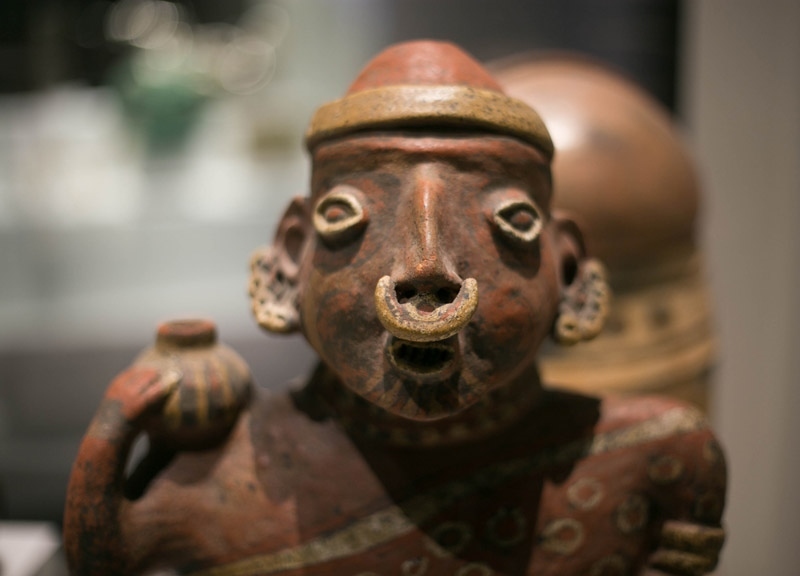 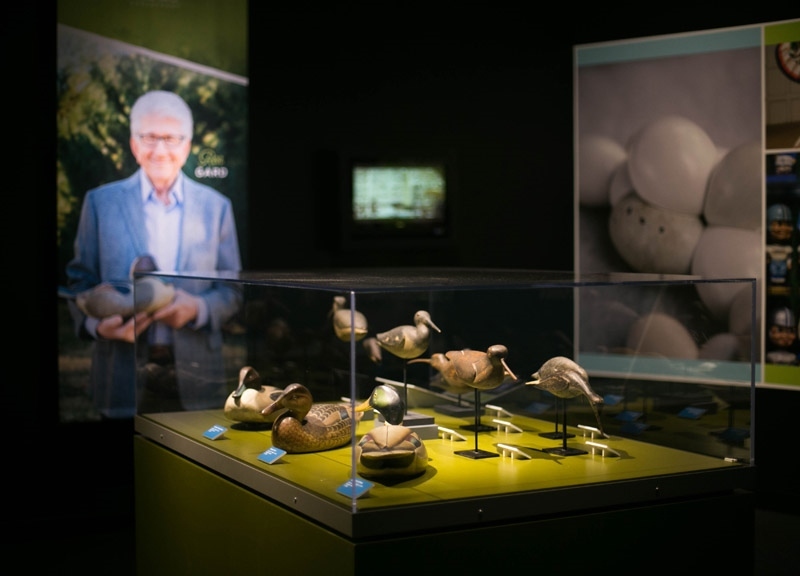 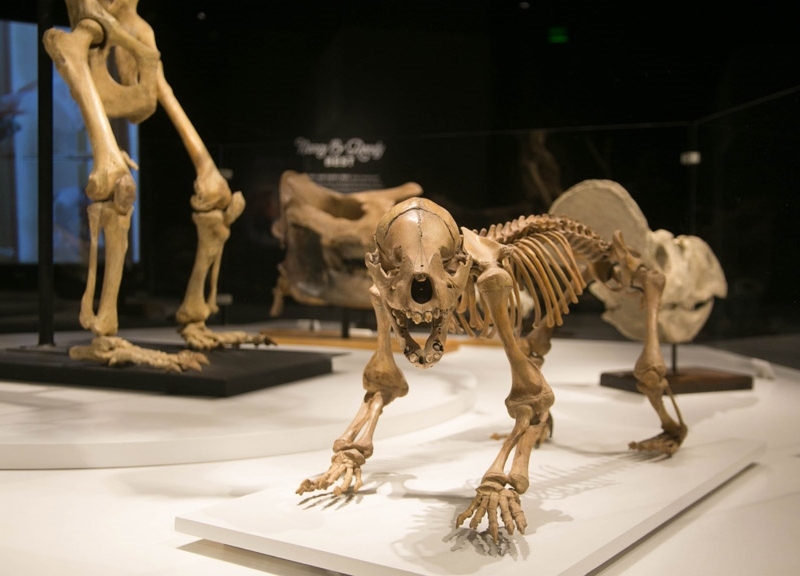 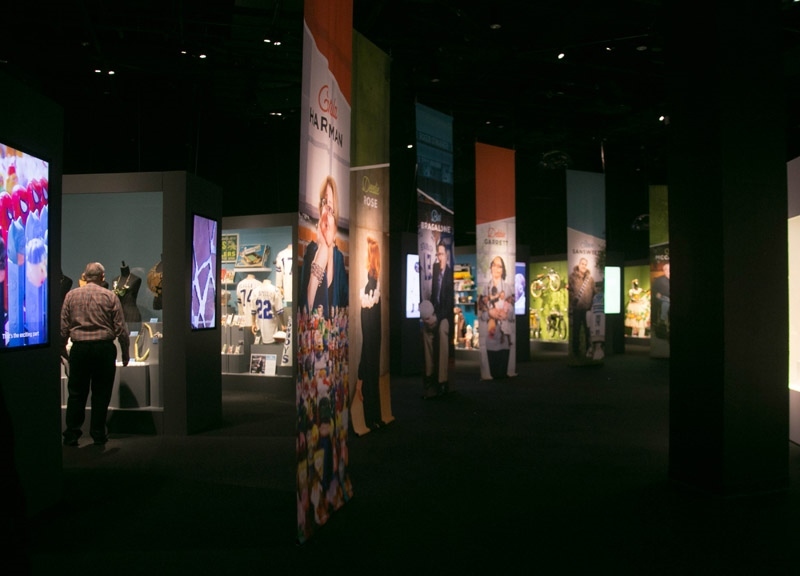 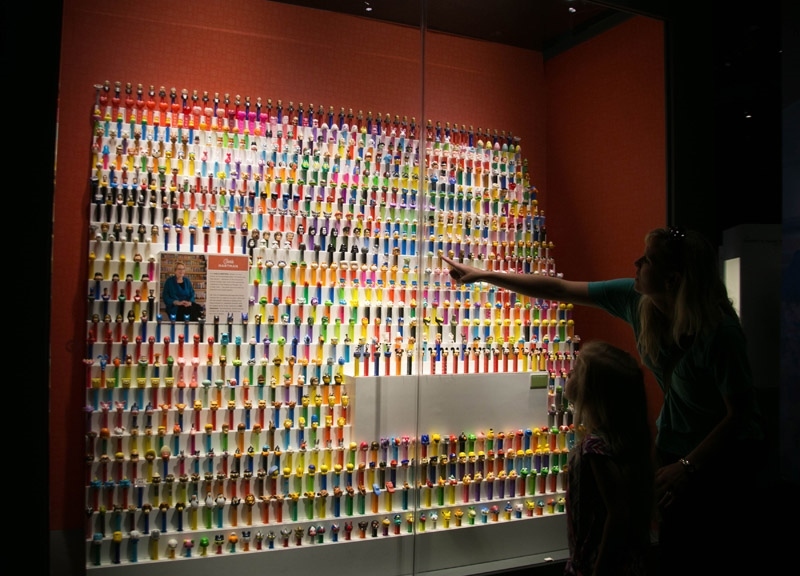 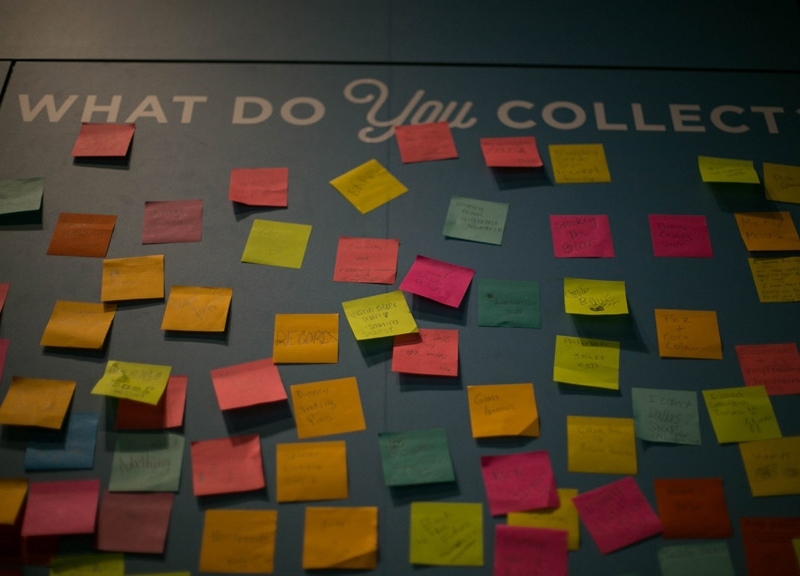 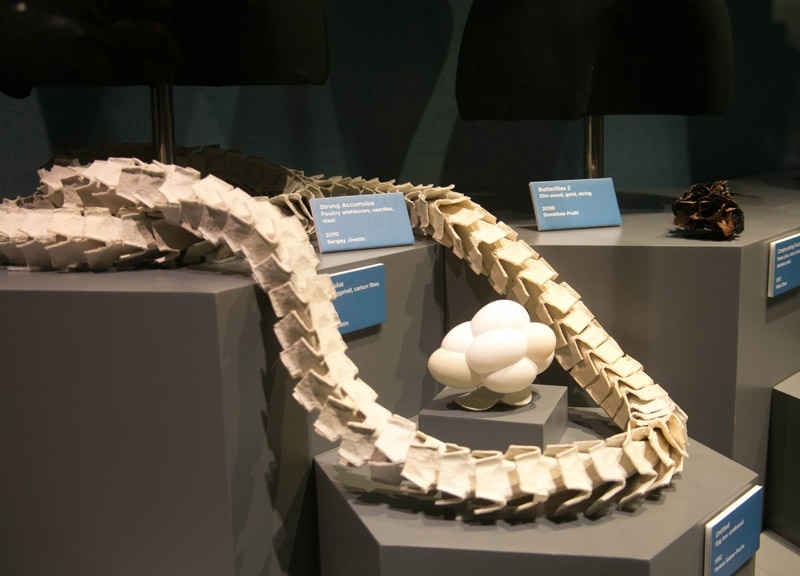 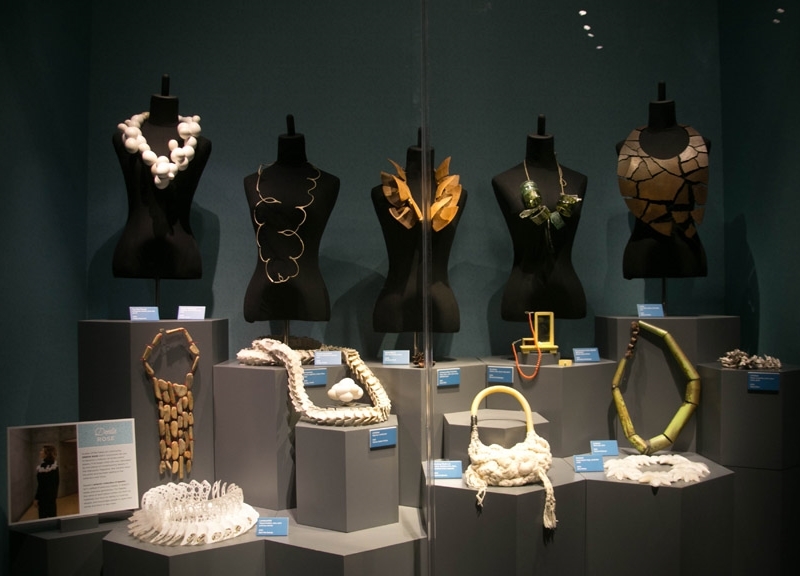 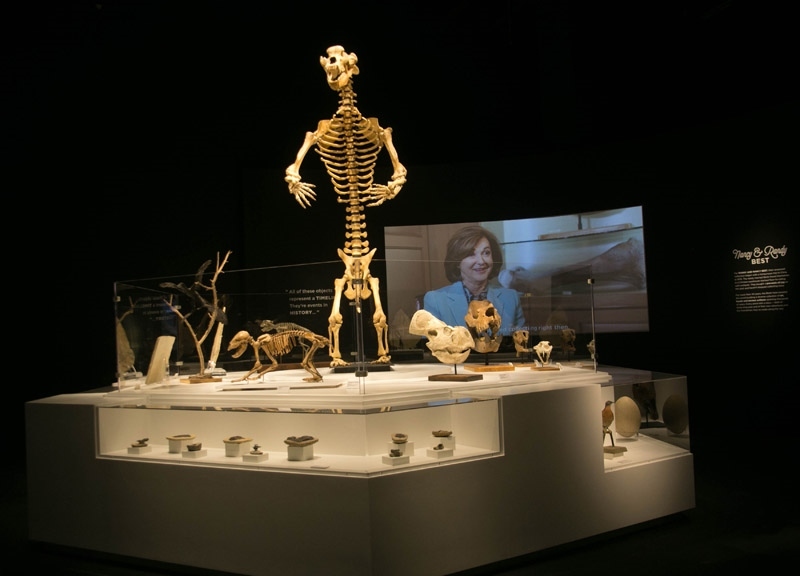 The Perot Museum’s Eye Of The Collector Exhibit Exposes The Human Need For Accumulation. 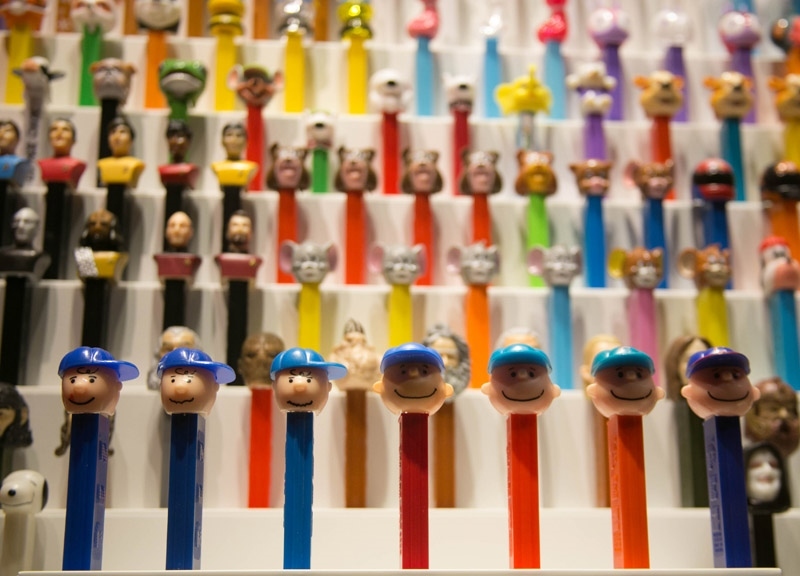 At The Perot Museum of Nature and Science through September 5, personal stashes are being put on blast. 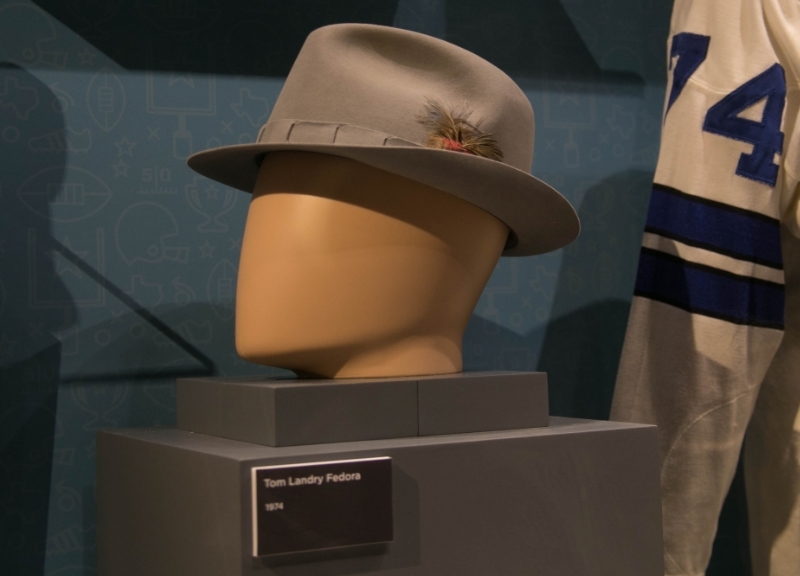 In a special exhibit called “Eye of the Collector,” museum attendees are being treated to peeks into the personal collections of a few notable Dallasites, all as part of an effort to help answer the question of why we humans feel the need to collect things in the first place. 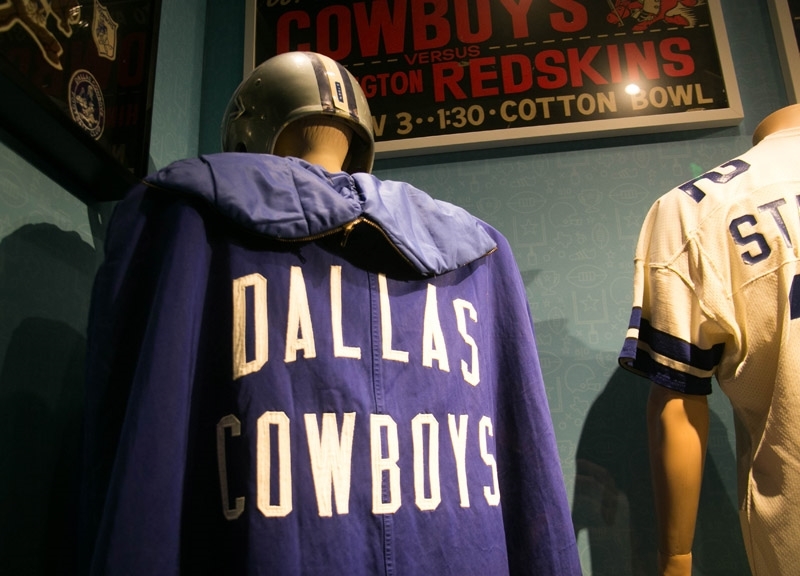 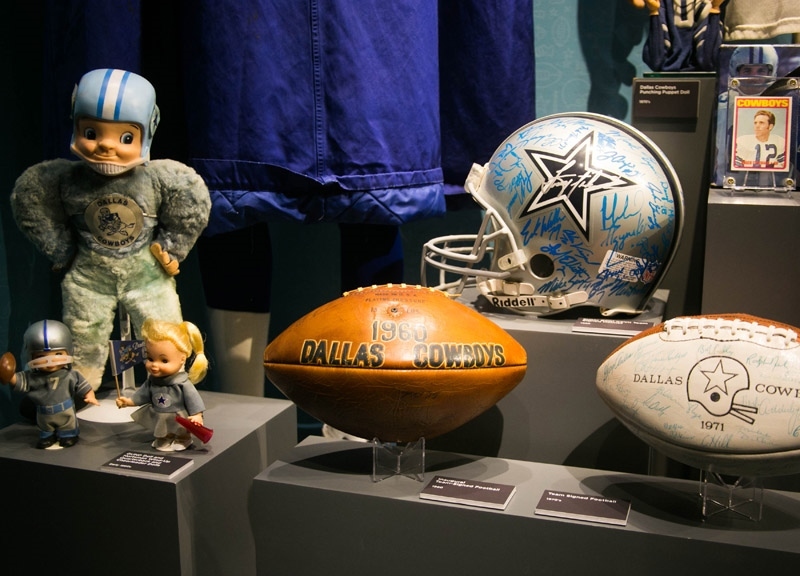 On display, you’ll see such assemblages of nostalgia as “Cowboy” Bob Bragalone’s vintage Dallas Cowboys memorabilia, which includes key pieces from the Cowboys shrine he keeps in a room in his house that he’s dressed up to look like the locker rooms of AT&T Stadium. 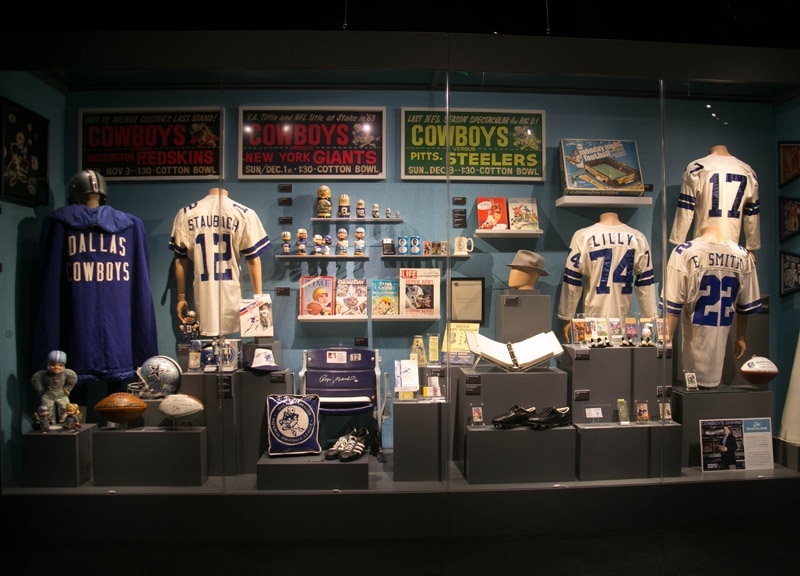 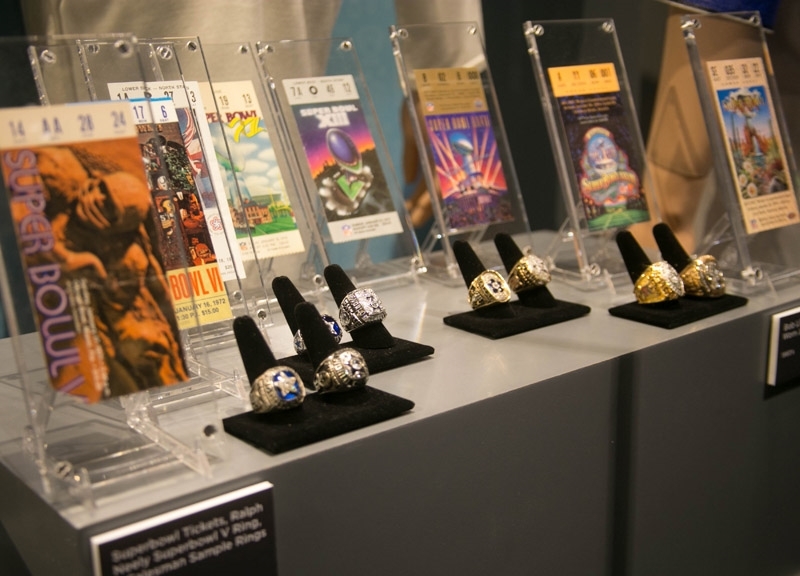 As part of this display, he’s showing off items like Tom Landry’s fedora, Roger Staubach’s cleats, various Super Bowl rings and a pennant so old that it predates the team adopting its blue-and-white color scheme. 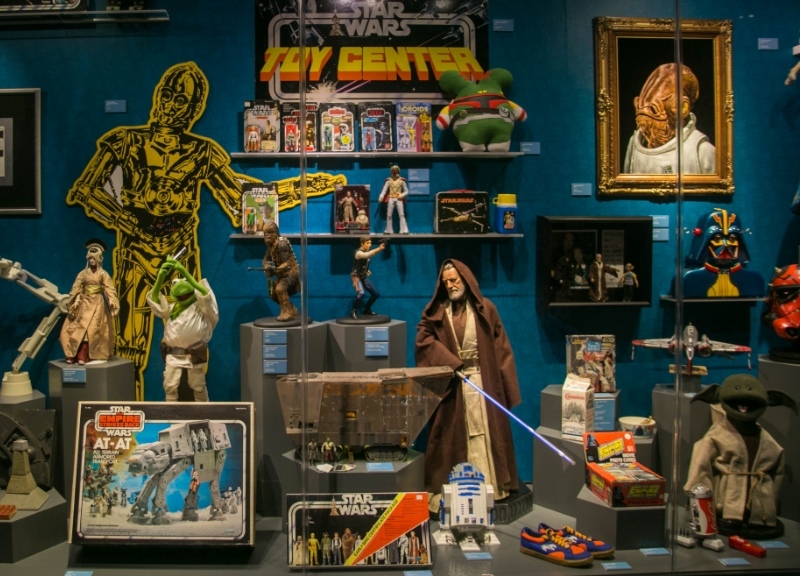 Steve Sansweet, meanwhile, boasts a Guinness World Record collection of Star Wars mementos, including props from the films and the mold used to make Darth Vader’s mask! 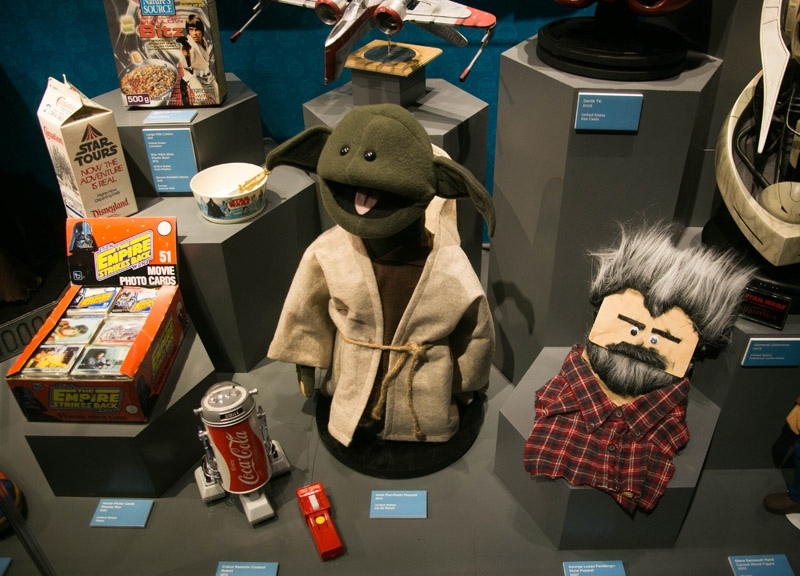 He’s also got a crew jacket from the Empire Strikes Back set, and all kinds of vintage toys and merchandise. 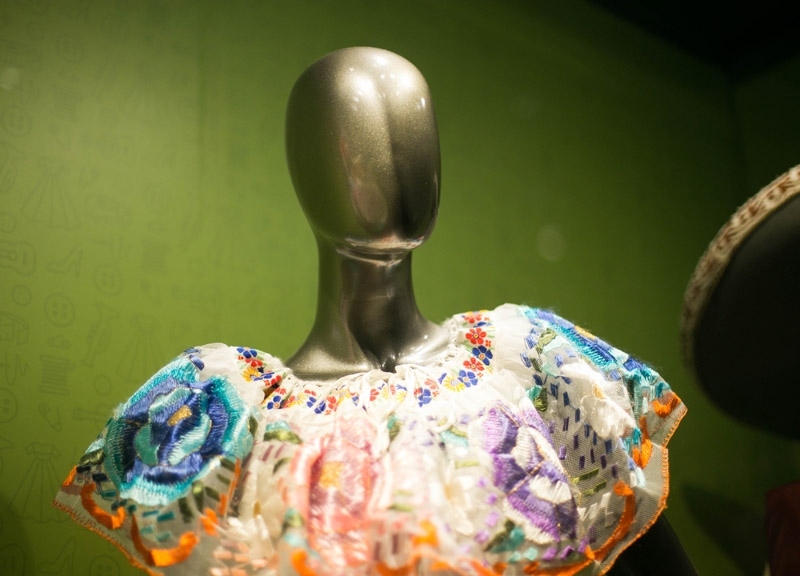 More culturally insightful, perhaps, are the included collections of Anita Martinez and Debbie Garrett. 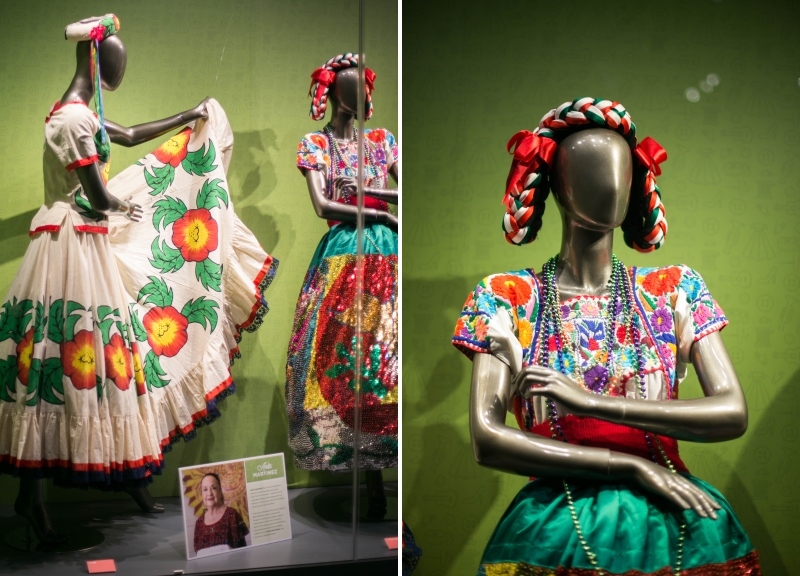 The founder of a local dance company, Martinez has loaned four colorful, Mexican-made dresses worn by Folklorico dancers to the exhibit. 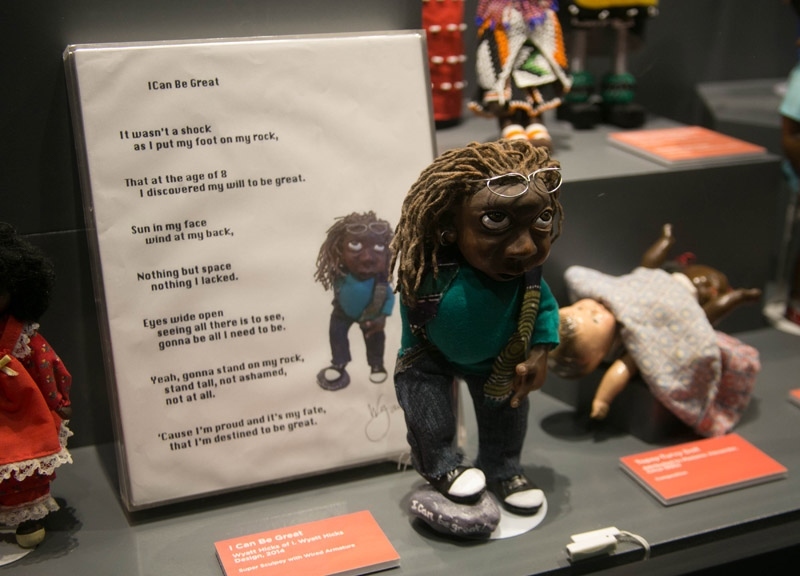 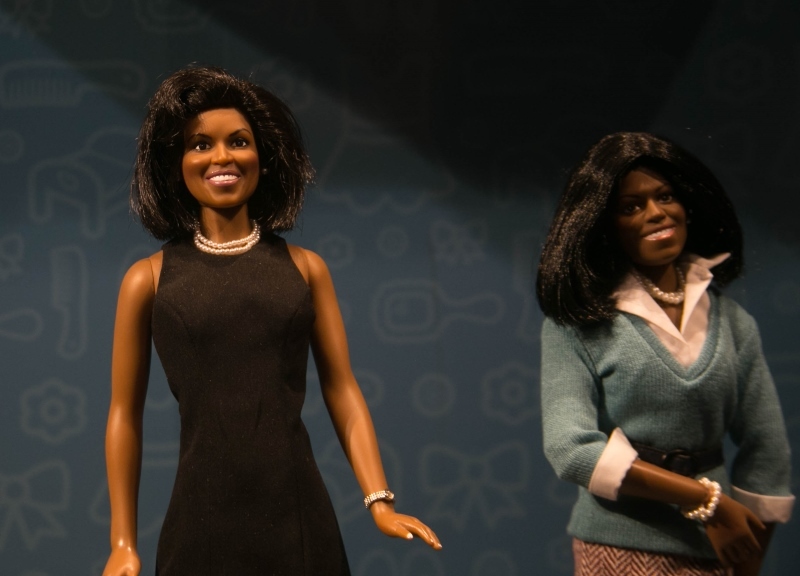 Then there’s author and historian Garrett’s collection of various African-American dolls — a hobby she was inspired to start after buying her daughter a porcelain figure that was too fragile for play. 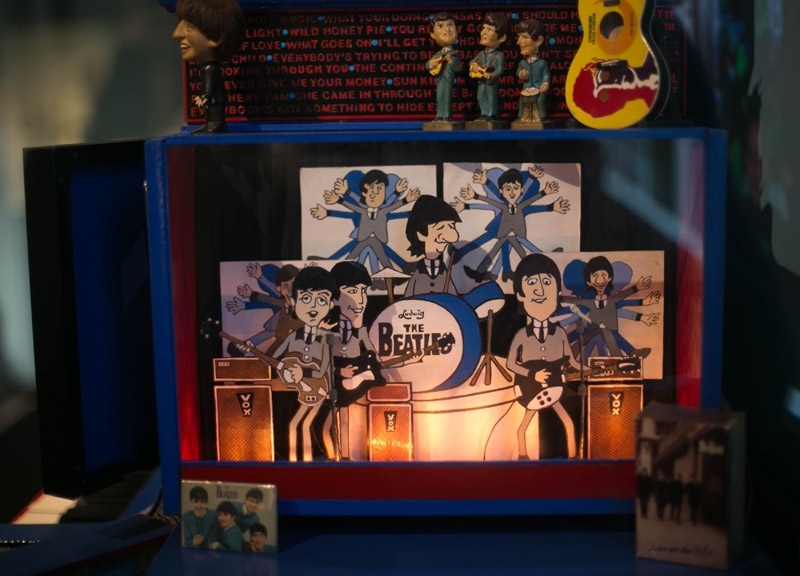 Her haul now features pieces from various countries as well as homages to a litany of celebrities, cartoons characters and pop culture idols. 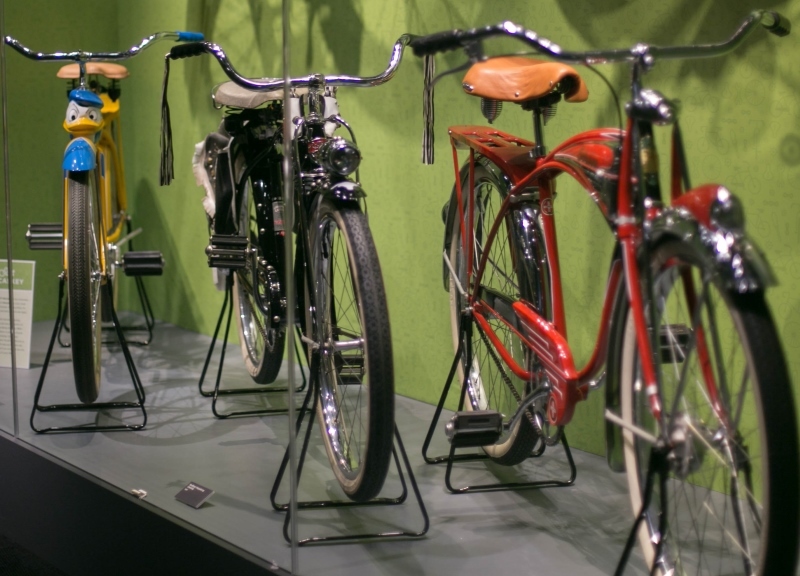 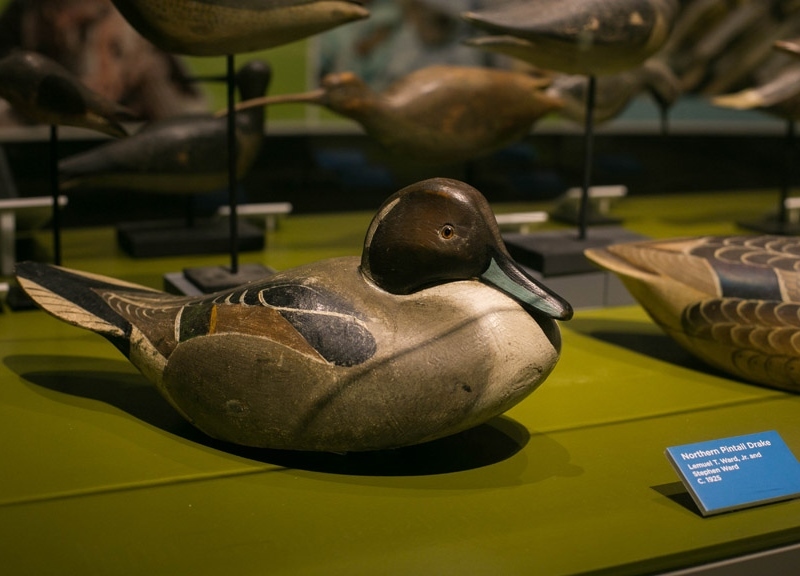 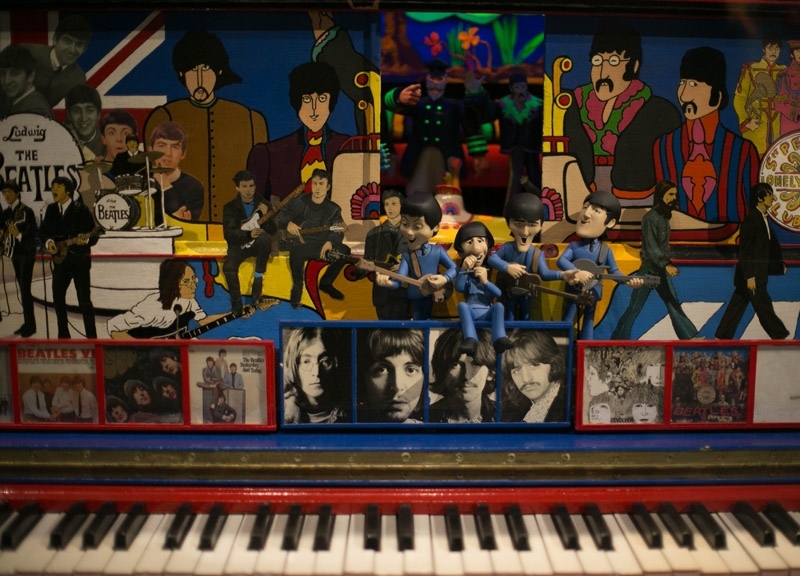 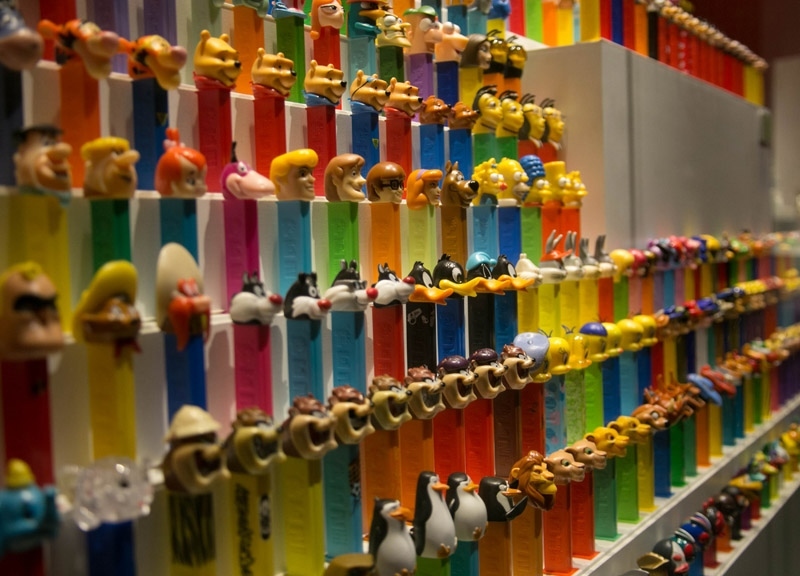 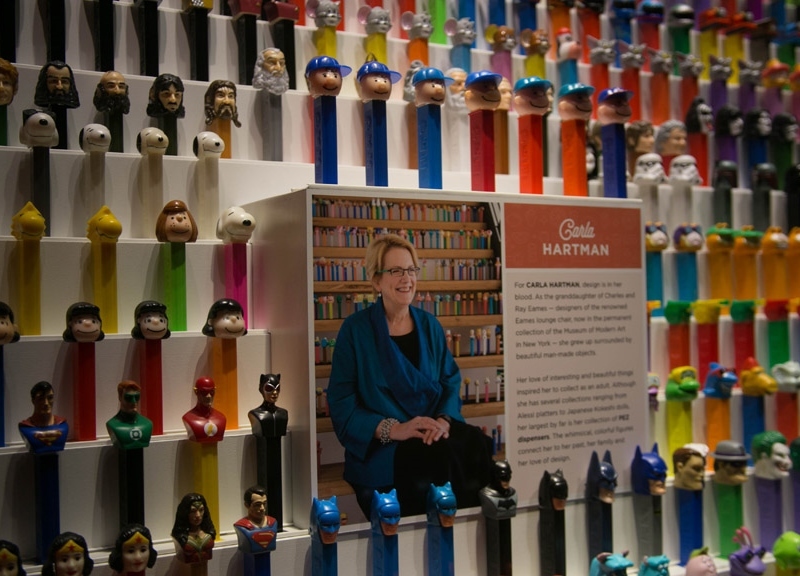 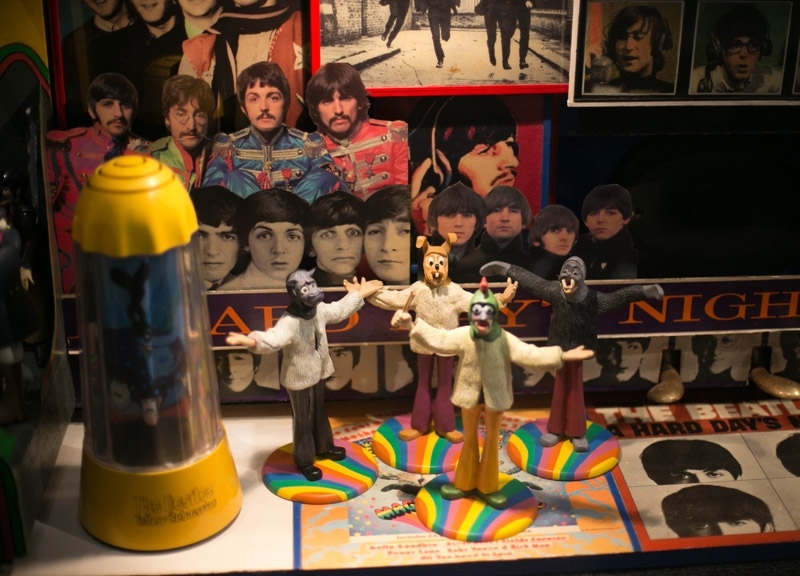 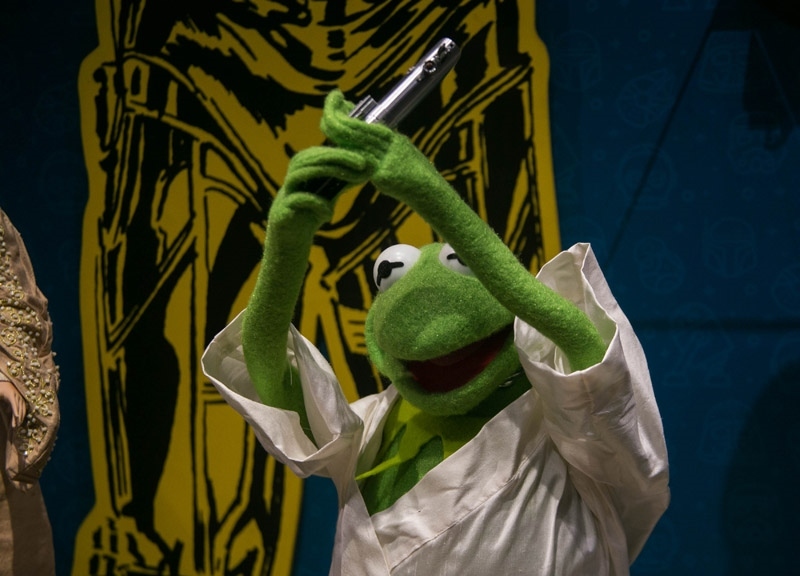 Elsewhere in the exhibit, attendees can see Scott McCaskey’s vintage bicycles, Ron Gard’s duck decoys, Nancy and Randy Best’s collection of historical artifacts and Carla Eames Hartman’s colorful display of Pez dispensers. 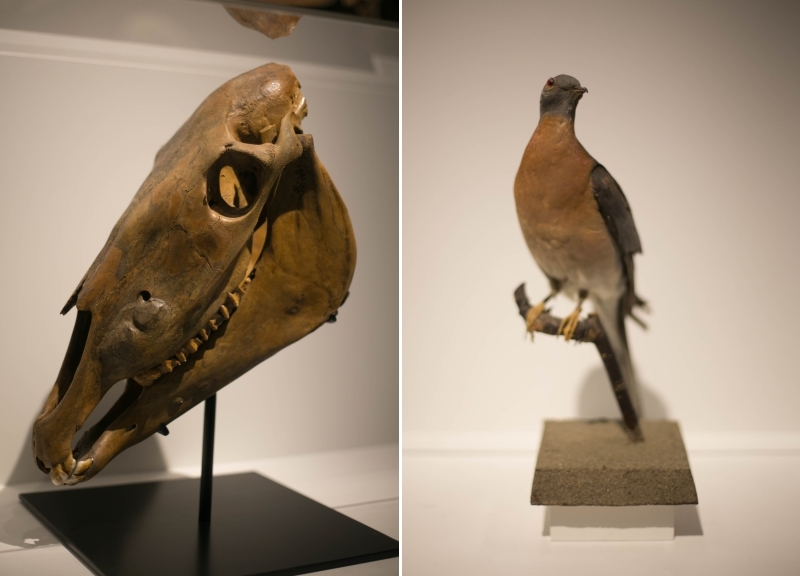 Below are some more photos we shot of the collections — although, we feel compelled to note, they’re even more eye-catching in person. 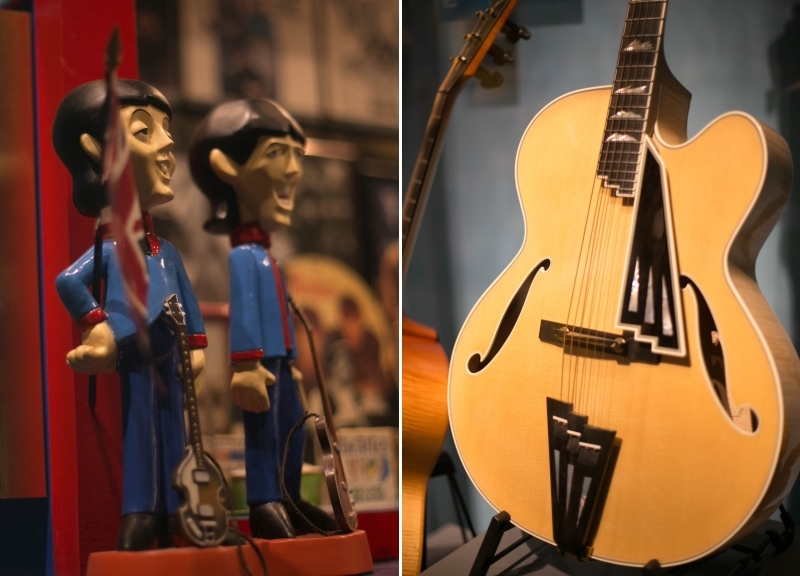 See them for yourself by purchasing tickets here. 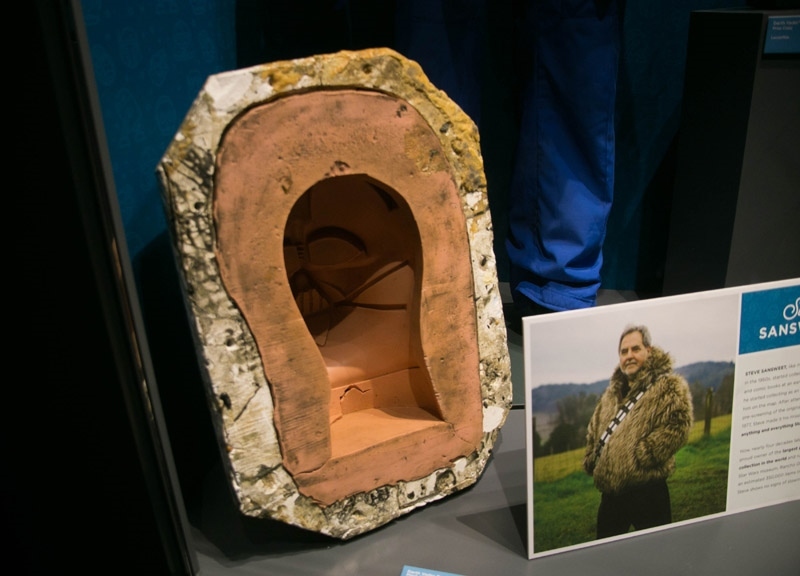 Previous ArticleBack On One’s Pledge.